The National Competitiveness Council is spearheading a series of dialogues involving public and private sectors in line with the government's thrust towards greater fiscal transparency and accountability in the budget process. 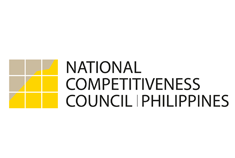 Guillermo Luz, NCC private sector co-chairman, said the participation of both the public and private sectors are crucial to government programs, especially the preparation of the national budget. The first of the dialogue series, "Bottom-up Budgeting: Private Sector Participation," will be led by Budget Secretary Florencio Abad on August 30 at the Hotel Intercontinental in Makati City. “This dialogue will illustrate how constituents and taxpayers can review the status of the 2012 budget and analyze the 2013 budget,” Luz said in a statement. According to the Department of Budget and Management, the "bottom-up budgeting" approach involves the 609 poorest local government units in the country working with civil society organizations (CSOs) and local communities to draft their own programs and projects suitable for the needs of their jurisdiction. These programs and projects will be given consideration in the preparation of the 2013 budget. At the national level is the Participatory Budget Process, in which selected national agencies and government-owned or -controlled corporations (GOCCs) coordinate with CSOs in assessing the effectiveness of proposed programs and forge Budget Partnership Agreements with CSOs in their respective budget preparation activities. The Participatory Budget Process was expanded further this year during the budget preparations. Agencies and GOCCs that participated in this process in 2011 were the Departments of Education, Health, Social Welfare and Development, Public Works and Highways, Agriculture and Agrarian Reform, the National Food Authority, the National Housing Authority and the National Home Mortgage and Finance Corp. This year, the Budget Department increased the number of participating agencies and GOCCs to include the Departments of Transportation and Communication, Tourism, Environment and Natural Resources, Labor and Employment, Justice and Interior and Local Government, as well as the National Irrigation Authority, the National Electrification Authority and the Light Rail Transit Authority. Organized by the NCC Budget Transparency Working Group, the "Bottom-up Budgeting" dialogue is part of the NCC’s initiative to push for the streamlining and automated processing, releasing, and tracking of the budget. The DBM will also launch the www.budgetngbayan.com, dedicated to the monitoring of the national budget. This Web site also features the budget preparation, list of priority expenditures, and the citizen’s portal, which encourages the public to engage about the national budget. The online budget monitoring tool is the second phase of DBM’s electronic Transparency and Accountability Initiatives for Lump-Sum Appropriations System (eTAILS), which was launched in July 2011. eTAILS serves as a management information system that digitizes the processing of lump-sum funds and supports the timely disclosure of budget release online.